The School of International Development and Global Studies (SIDGS) is pleased to announce that Peter Szyszlo (supervisor: Dr. Prachi Srivastava, DPhil, Oxford) was awarded his PhD diploma at the Autumn Convocation ceremony on October 28, 2018. 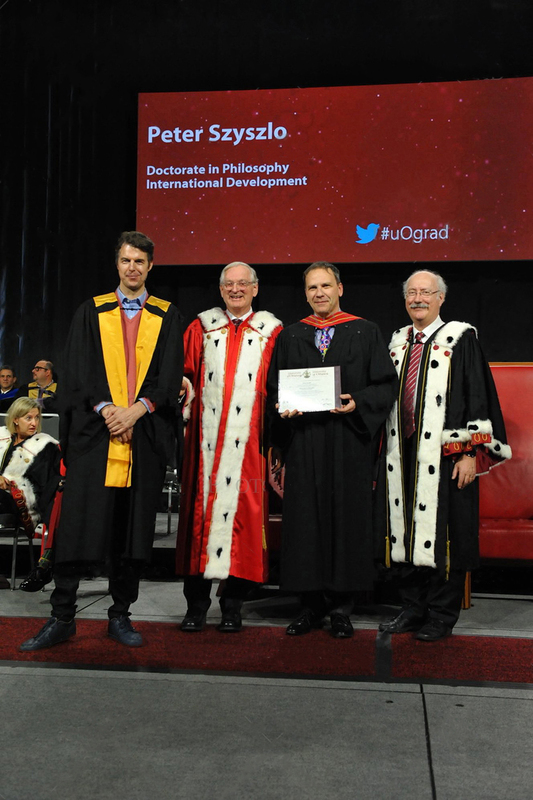 Peter Szyszlo is the first doctoral candidate to have successfully completed the PhD program in the inaugural cohort. Congratulations Peter! !